That's some… fishy scenario. So, they'll cook it for u anyway. It's normal for dead fish. I saw this before, and the ones that WERE belly up swam around, opened and closed their mouth and even ate stuff. 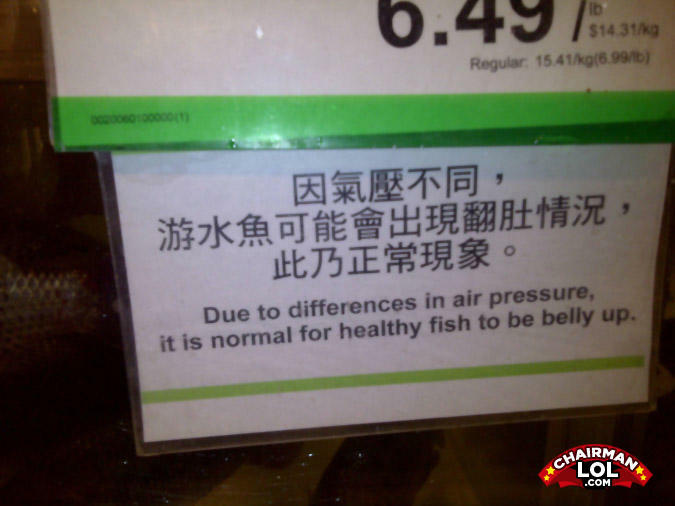 Due to differences in fish position, it is common for Americans to vomit at Chinese fish. Also, due to differences in water clarity, it is common for healthy fish to look half-rotted.